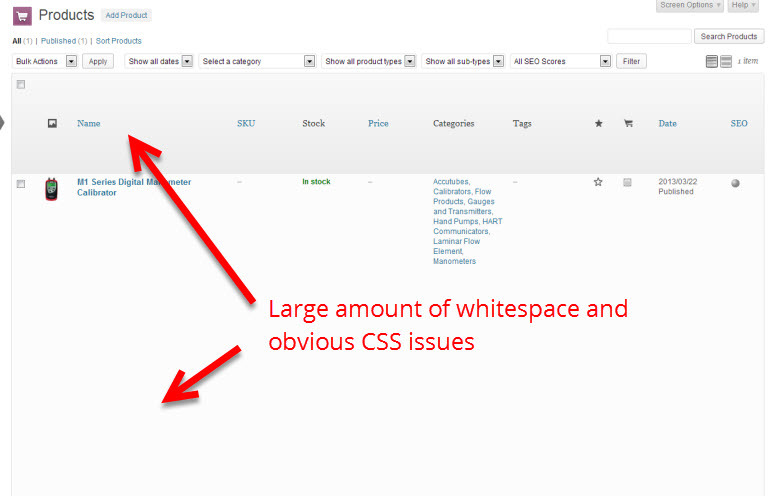 With WooCommerce and WordPress SEO both activated the columns in my Products listing page in the WordPress admin appear spaced incorrectly. This isn’t the most elegant solution, but it works. If you have another recommendation please post in the comments below! These are two great plugins, hopefully in the near future this problem will be resolved without the use of either workaround mentioned above. I needed a mixture of both solutions otherwise the SEO columns were overwriting each other. Real slaphead moment when I looked the screen options panel to toggle off unwanted columns – I’d uninstalled and re-installed WooCommerce a couple of times before I found this post. 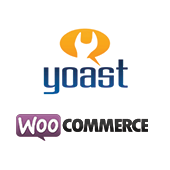 Thanks for sharing this, has anyone told Yoast about the issue already? Thanks guys 😉 Love when I search and end up on your site! Thought I needed a function for this, ha.